While i read of new ICOs daily i try to show here only most interesting ones. Internet of things as a niche, Hyundai corporation on the view. Check this one guys! 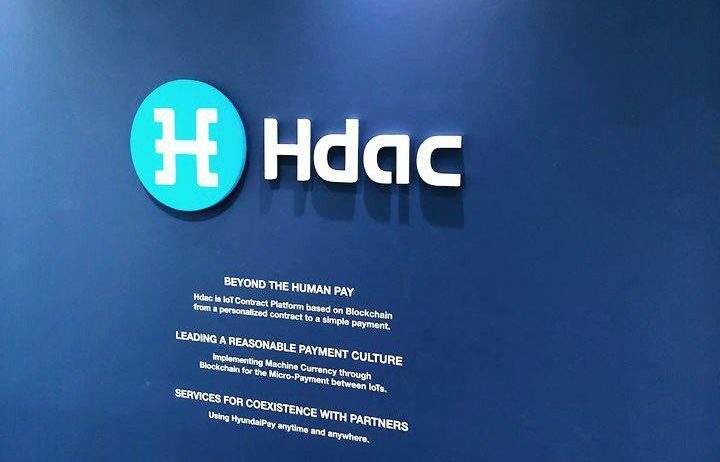 Hdac stands for Hyundai Digital Asset Currency. It is a decentralized platform which allows IoT devices to quickly and effectively communicate, handling identity, authentication, data storage and micro-payments. They will develop a new blockchain based on multichain capable of handling the scale and contract functionality required for an IoT platform, as well as bridges to Bitcoin and Ethereum to facilitate payments. IoT devices powered by Hdac will mean more actionable data to improve lives, businesses, and governments. A good explanation of usage is on the video below. Hyundai BS&C is currently building an apartment complex called Heriot that will use HDAC. 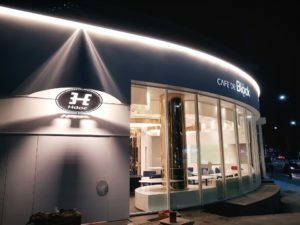 The blockchain and technology is created through the cooperation of Hyundai BS&C, DEXKO, Doublechain, and Hyundai-Pay. What is Most Interesting in This ICO ? Its not another Ethereum token but a stand-alone blockchain. We have huge company behind it and actually thei raised over 18 000 BTC already in pre-sale in China. They could make this themselves im sure but they want to make it decentralized and controlled by the public and the market. They want people to use and trade it, and not make it a privately owned technology. They want anyone interested to be able of using the technology and getting able of getting tokens. Internet of Things is already a huge niche that sooner or later will change our lifes. 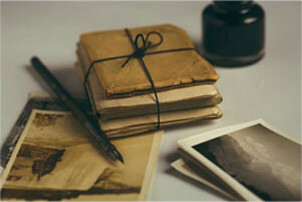 If you have never heard of this the definition from Wikipedia is – The Internet of things is the network of physical devices, vehicles, home appliances, and other items embedded with electronics, software, sensors, actuators, and network connectivity which enable these objects to connect and exchange data. HDAC partnered with Hancom Group (something like Microsoft in Korea), MODA group, KRP transactions, Worldwide Medical and Oasis Lending Service from Korea. So the future looks exciting. How to Buy HDAC ? Register at https://hdac.io/ and you can slo win free 50 tokens right now for this. Read whitepaper as its important to do research before making any decisions https://github.com/Hdactech/Hdac/wiki/Hdac-Technical-Whitepaper and consider to join their Telegram group to find out even more live news – https://t.me/Hdac_TGE. ICO starts 27 Nov. 09:00 ~ 22 Dec. 23:50 (GMT/UTC+1).